Jim, Thanks for posting this. 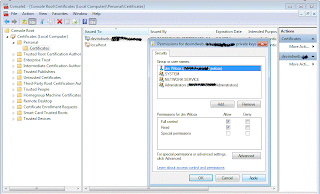 Connecting with SSIS to web services using secure certificates is completely undocumented, anywhere. Even the WROX SSIS Pro book says to check Books Online, which is a dead end. So kudos to you. I'm working on trying to get a web service connected using a certificate now, and still waiting for my Technet subscription to go through. Yours is the only one of two articles that I've found treat this topic. Now, my question to you is, how did you get the namespace reference in your script component? You know, when one tries to Add Web Reference, the dialog that pops up requires calling the service in order to instantiate the namespace object in the project. Then you go to the object to find the GUID. Anyway, that's how I learned. 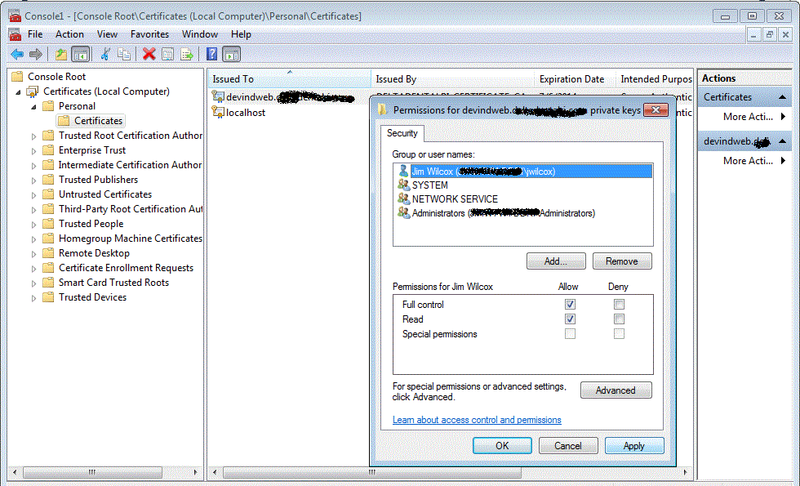 The problem is that one can't actually get the service to come up without authenticating using a certificate. To be clear, I can call this service from a browser after importing the certificate. The web methods have a separate login/pwd that are required - so that could be the hangup. Any ideas? Am I right that this bit of information about how to get the namespace GUID is critical? Unfortunately, it's been a while, but as I recall security was set up on the service metadata exchange (MEX). The MEX didn't didn't require the certificate to add the web reference. If that's not possible for you, see if you can get the service running in a different environment that doesn't have the same security issues, and then change the URL.